It sounds too good to be true – and it might very well be, considering the issues with crowdfunding campaigns we’ve seen before. 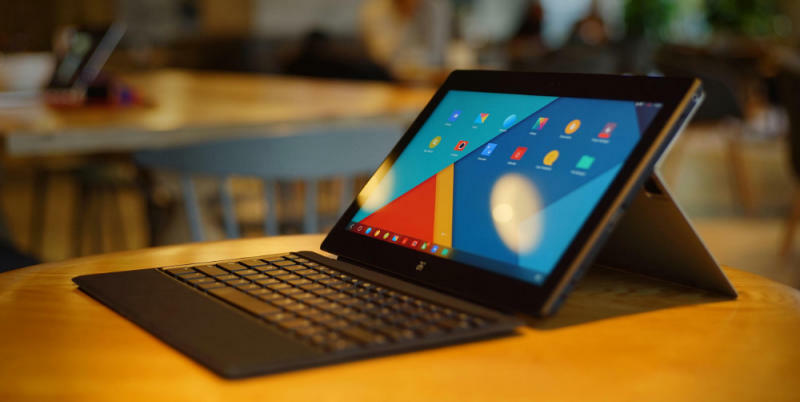 That said, the $39 Surface Pro-like Jide Ultra Remix Android tablet that launched on Wednesday on Kickstarter was a must-buy for many people who scooped up all the units available at the $39 price point as soon as the campaign went live. And make no mistake, this isn’t your average cheap Android tablet that we’d normally tell you not to buy during Black Friday sales. First unveiled at CES 2015, the Jide Ultra Remix will retail for $399 when it launches later this year, but Jide offered a limited number of tablets via Kickstarter for 90% off the final price. That means some lucky buyers were able to get it for the insanely low price of $39, or at least they will get it this May when it should ship. The Remix packs a Full HD 11.6-inch display, NVIDIA Tegra 4 processor, 2GB of RAM, up to 64GB of storage, microSD slot, front and rear camera, and 8,100 mAh battery. The best part about it is that the device runs a special version of Android called Remix OS that’s supposed to let users run Android in a Windows-like manner, complete with Windows multitasking features to enhance your mobile productivity. The first models will ship with a Remix version built on top of Android 4.4 KitKat, though the operating system will be updated to Lollipop eventually. The Kickstarter project launched on March 25th and so far Jide raised more than $75,000 of its $100,000 goal from more than 600 backers. March 17, 2015 (Beijing) – Crowdfunding is not a new idea. Nor is launching a piece of hardware to help you be more creative and connected to all things digital. But on March 25th, a new Kickstarter campaign from a Chinese technology company called Jide will introduce a new twist on the crowdsourcing concept. Jason Zheng is the International Marketing Manager for this new idea. “We want to try something totally different, and test our product in a community of users while creating a new idea, a new brand, and a new way of connecting a product to the market. Remix will be the first community built and backed product where users will get to engage with us firsthand in building a mobile productivity tool for the 21st century”. Jide Technology is set to run the campaign with a singular goal of finding passionate innovators and early adopters who want to become a part of their first community of users. To build this community from the ground up, they plan to give all their backers, no matter which tier they pledge, a Remix ultra-table. Retail price on the Android device will be $399. The lowest reward tier is set to start at $39. In essence, they are giving away hardware and asking for help in making the next version of their software fresh and inspired by their community. Remix is a big, full HD 11.6” tablet that comes with a full size keyboard. Its OS is based on Android 4.4.2 (and soon to be upgraded to Android 5.0) been optimized for its big touchscreen and attached keyboard. Thus what makes Remix unique to the market: it’s a laptop experience on a big Android tablet. To emphasize the community building aspect of their Kickstarter campaign, Jide is making available the Remix ultra-tablet on every reward tier. In effect, they are not using the platform as a traditional funding vehicle, but as a community building vehicle. Their goal is to get Remix into as many curious and appreciative hands as possible. “We believe Kickstarter is the perfect platform for Remix to launch on in the US,” Chau continued. “The Kickstarter community typically isn’t backing a product just for the rewards themselves, but because they believe in the projects and they want to be involved in making them better to use. This is exactly the type of community Remix is looking for; engaged, creative, connected people who want to push their own circles to try something different. Remix has begun to sell a localized version of their tablet in the Chinese market. What they’re making available through Kickstarter is a localized version built as a productivity tool for the US market. “Back us at any amount and we’ll ship you a Remix. We’re looking for users to give us feedback and help us make Remix a better product for the US user and people will find useful. Our ask isn’t to love us immediately, our ask is to join a community and let’s build something together,” stated David Ko, fellow cofounder and VP of software development. “For us, building towards our vision means building our community, one user at a time.